There are rumours circulating that the Shongweni Landfill site has re-opened and/or an approach has been made by EnviroServ to the Minister to request her to re-open the site. The site is not open. It is correct however, that EnviroServ have made an approach to the Department of Environmental Affairs, claiming to have completed the “mitigation measures” at the Shongweni Landfill and for permission to re-open the site. 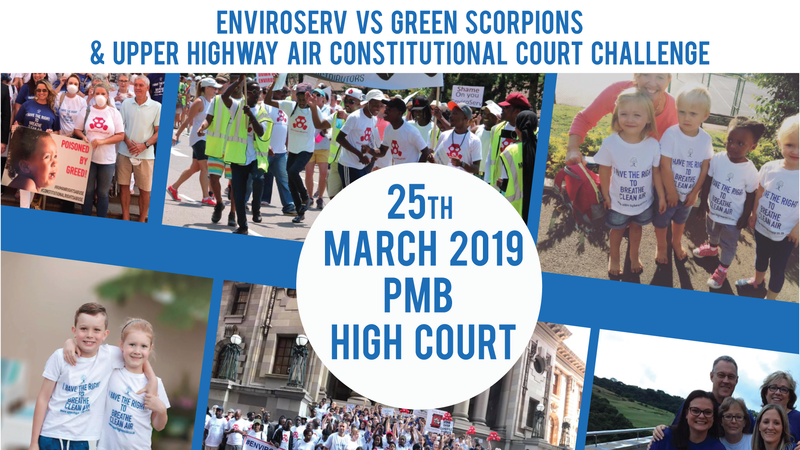 This approach has been made outside of the formal appeal process and has been made to the exclusion of involvement from UHA NPC in circumstances where EnviroServ, in its own appeal papers, indicated that any decision on re-opening should only be made after reports to the DEA and UHA NPC. EnviroServ have still not provided the protocols to the DEA regarding the operation of their monitoring devices, results of which no doubt have underpinned their irregular approach. In response, the DEA Appeals and Legal Review section, has confirmed to us that their response to EnviroServ has been that the issues forming part of the EnviroServ request forms part of the issues in the appeal, and it is inappropriate to address the content of the EnviroServ request outside the appeal process. We confirm further, that regardless of the decision in the appeal, the interim interdict granted in favour of the UHA NPC operates pending not only the outcome of the appeal, but also the action instituted by UHA NPC, so EnviroServ would still have to approach the High Court for an order discharging the interim order granted in the UHA NPC’s favour. EnviroServ have implicit in their approach for permission to re-open (which we have not been included in) contended that their measures have been successful and the continued impacts are from the mystery polluter. Our information indicates it is clearly still EnviroServ. EnviroServ have been given an opportunity in the High Court to deliver a supplementary affidavit setting out who that mystery polluter is. They have not yet availed themselves of this opportunity. In the meantime, on 1 December 2017, a notice was circulated (not to all monitoring committee reps) by the “chairman” and “secretary” of the monitoring committee, of a monitoring committee meeting to be held on 14 December 2017. Yet another hijacked irregular meeting, with items on the agenda dictated by EnviroServ and to achieve its ulterior purposes, including it appears the rubber stamping of their annual audit report, which has to date not been circulated either. UHA NPC will be taking up these issues, but encourage the community to liaise with their community representatives to voice any concerns they have regarding this farcical process, including the retention by EnviroServ of an attorney for the monitoring committee, selected, instructed and paid for by EnviroServ. The DEA have also confirmed that they will be acquiring their own monitoring devices in order to accurately assess the effectiveness of any remedial measures. We encourage you to report the odour impacts when you smell them. The UHA NPC is still undertaking further testing to ascertain what component of the odour is H2S and what percentage are the other odorous compounds. The UHA NPC has taken up this issue with the authorities and demanded further action. We continue to fight for effective and complete remediation, which clearly has not been achieved despite EnviroServ’s contentions to the contrary. The High Court sitting as an Equality Court, has determined it will retain the action instituted by the UHA NPC arising from the Bell Pottinger tricks of EnviroServ and the learned Judge has directed the parties to file a pretrial minute by 1 February 2018.